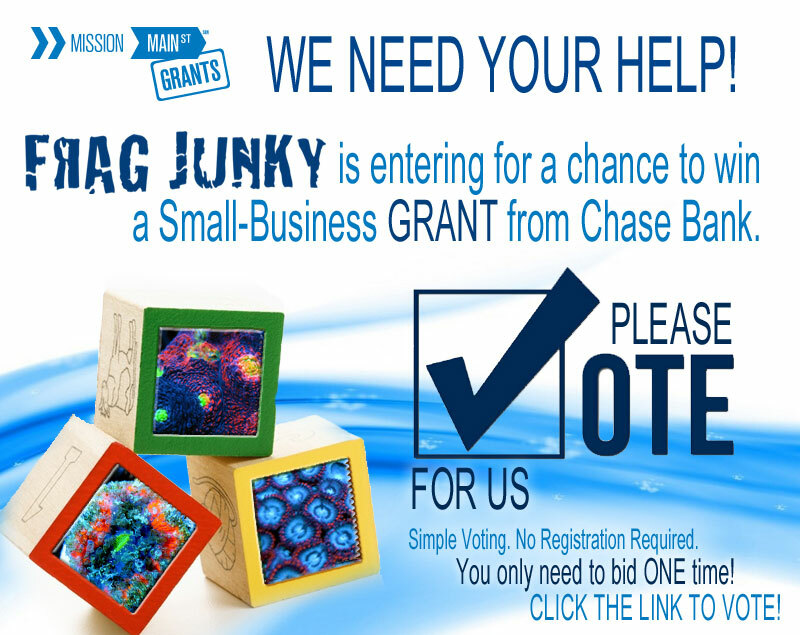 Our friends over at at Frag Junky, who you probably know from their incredible fungia which was on display at MACNA this year, are in the running for an incredible grant from Chase Bank. Every year, many banks offer grants or incentives to help small, minority or women owned businesses succeed by giving them access to funds for capital investment and development. Frag Junky is all three; small, woman owned, and the founder is from a minority. If you have been to a major reef event you know that these are indeed obstacles that are relevant to our industry. Also, I can tell you that the process to apply for these funds is a huge task in itself. This particular grant is being offered to several companies with the final decision being somewhat based on a public voting system. In the same way that people fund Kickstarter programs (which are just single ideas and not necessarily a full business model), you can make a difference for one small business owner by voting for them in this contest. Since Frag Junky is the only company from our hobby that is still in the running this late in the competition, we hope you will give them your support with a few quick clicks. You can vote for them by clicking right here, it’s free and no signup required.